SKU: BDVedauwoo Moonset. Categories: Fine Photography, Brett Deacon. As far back as I can remember, the natural world has been a source of fascination and reverence for me. After moving to Minnesota in 2001 and spending weekends backpacking on the Superior Hiking Trail, photography became a serious part of my interaction with nature. Unsatisfied with mediocre photographs that failed to do justice to the splendor of Minnesota’s North Shore, I invested in a 35mm camera system and began my evolution into a serious nature photographer. In the process my way of seeing the world was quite literally transformed. 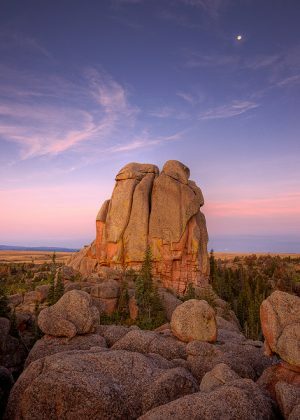 Since moving to Laramie, Wyoming in 2004, the scenery I formerly dreamt of visiting on summer vacations now rests on my doorstep. My deep respect for the grandeur of the natural world grows with each visit to the red rock formations of Vedauwoo, the alpine lakes of the Snowy Range, and the soaring peaks of the Tetons. Along the way, I have honed my skills with large format film and digital cameras and with the tools of the digital darkroom. 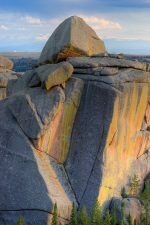 The images on this website represent a selection of my favorite photographs, most of which were taken near my home in Wyoming. I hope you enjoy them, and that they impart in you a sense of wonder, respect, and stewardship for our country’s wild places.